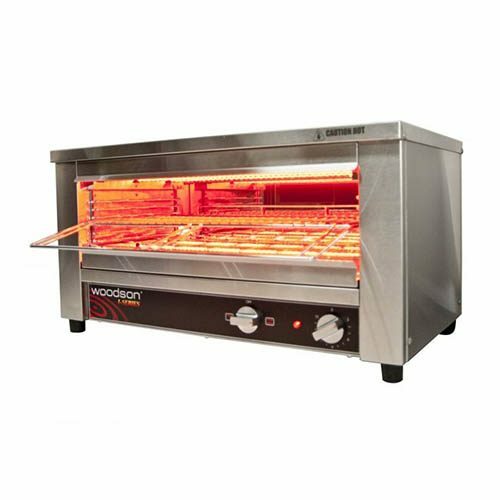 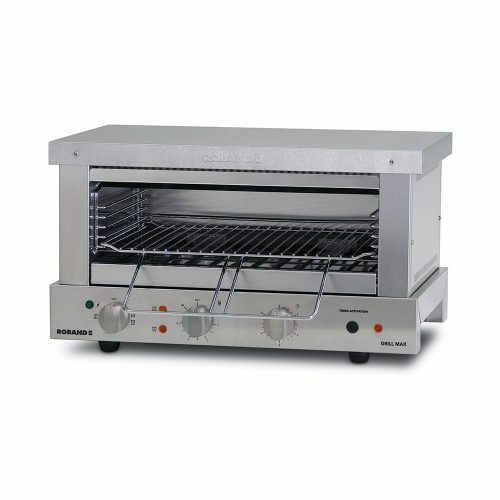 These commercial open toaster grillers are ideal for your commercial kitchen or café to heat food in these bench top toaster ovens. 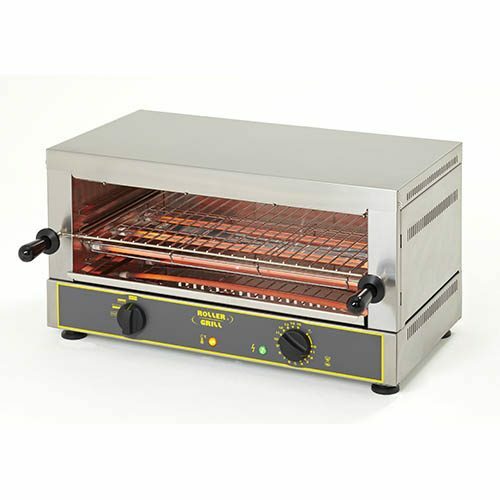 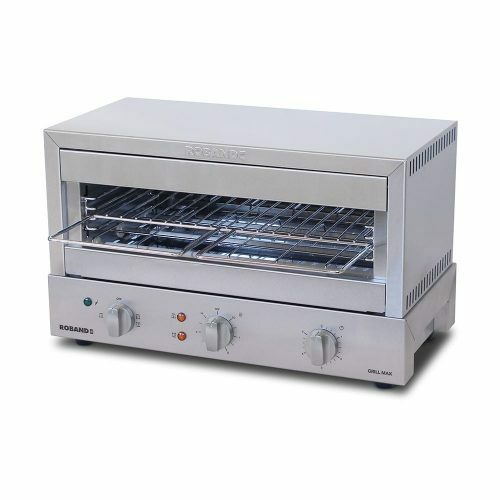 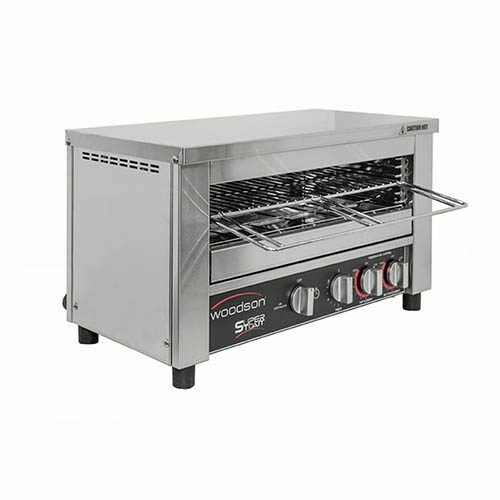 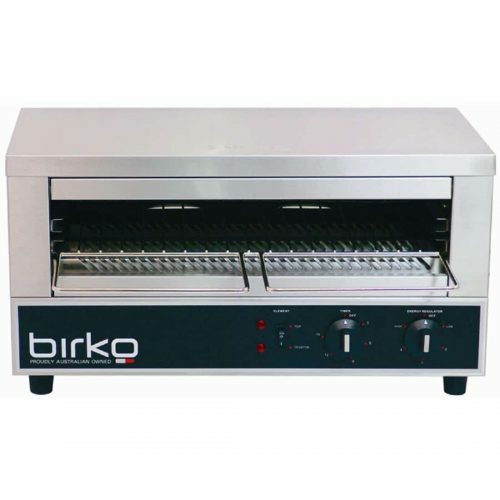 However Commercial toaster grillers have a switch that can heat with the top and bottom element or flip the switch over to have the top element heating only. 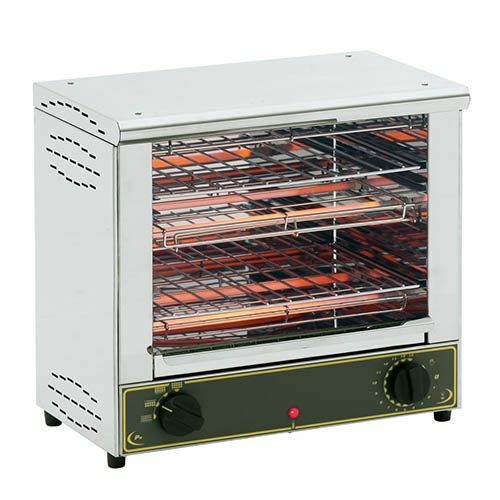 This is ideal for when wanting a melting function. 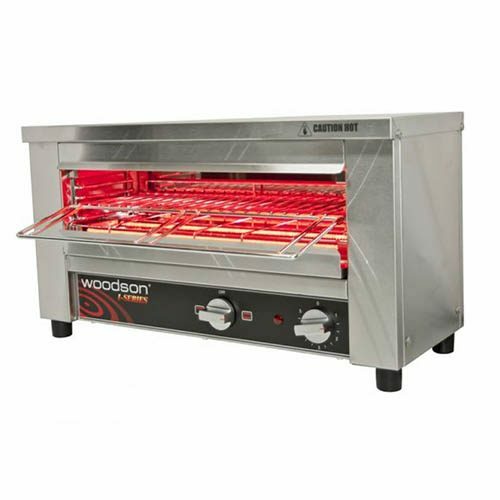 It would melt the cheese on your nachos. 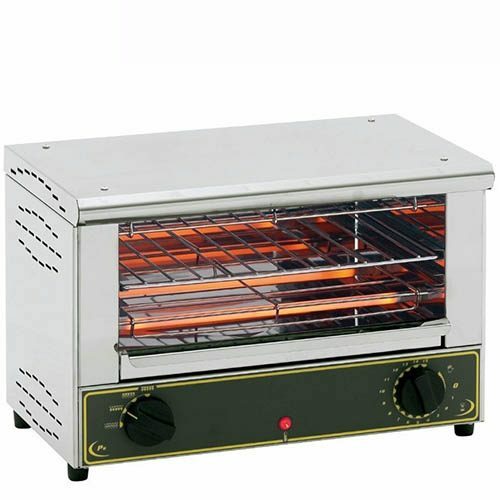 Or have both elements running to heat up a sandwich or garlic bread. 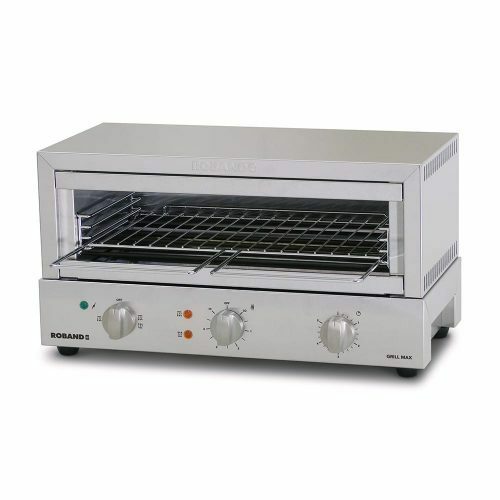 Many ways to use these open toaster for toasting, grilling, and reheating up food in them after all.